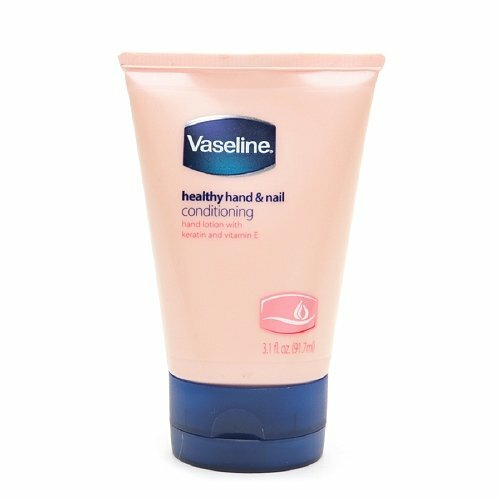 EWG scientists reviewed Vaseline Intensive Care Healthy Hand & Nail Conditioning Hand Lotion (2014 formulation) for safety according to the methodology outlined in our Skin Deep Cosmetics Database. We assess the ingredients listed on the labels of personal care products based on data in toxicity and regulatory databases, government and health agency assessments and the open scientific literature. EWG's rating for Vaseline Intensive Care Healthy Hand & Nail Conditioning Hand Lotion (2014 formulation) is 9. WarningsSunburn Alert: This product contains an alpha hydroxy acid (AHA) that may increase your skin's sensitivity to the sun and particularly the possibility of sunburn. Use a sunscreen, wear protective clothing and limit sun exposure while using this product and for a week afterwards.